Amblyopia, also known as lazy eye is a deficiency in proper vision development due to the failure of both eyes to work in unison. With most instances of ambylopia the actual eyes are typically healthy but good vision cannot be achieved by just glasses. Left untreated amblyopia can cause serious visual impairment, including loss of sight in the affected eye. Amblyopia is the most common vision disorder in children. Usually beginning in the developmental stages of infancy, the disorder is often difficult to discern. Unless it is adequately treated at an early age, the likelihood of regaining normal eyesight is reduced. Treatment is usually faster and more effective for those who start before the pre-teen years. This is why it is important to have your child’s eyes checked at a young age. According to the AOA (American Optometric Association) children should have a comprehensive optometric exam by the age of half a year and again when the child turns three. What Causes Amblyopia (Lazy Eye)? Lazy eye occurs when the eyes or visual system do not function in unison. One common cause is strabismus, a condition where the eyes are not properly aligned. Such misalignment can cause the eyes to cross in (esotropia) or turn out (exotropia) and therefore aren’t able to work together. Amblyopia can also be caused by a condition where the eyes have different levels of acuity. This condition is called anisometropia. On occasion, lazy eye is caused by other eye conditions such as a cataract or some other pathological problem. Amblyopia is treated by measures to attain proper vision to both eyes. Along with the use of prescription lenses, one of the most common approaches entails making the child use the weaker eye. There are a few ways to do this and the treatment plan is prescribed according to the individual circumstances and a consultation with an eye doctor. Very often you will see a patch used to be worn over the good eye. A patch compels the patient to use the weaker eye, which promotes proper sight in the weaker eye and helps the visual system in the brain develop properly. However this treatment largely depends on cooperation of the patient to use the patch, which can be a factor particularly with children. Some optometrists decide to use atropine. When applied to the better eye, atropine drops blur the sight and therefore stimulate the use of the other eye. Other treatment options include vision therapy to assist the eyes to coordinate with each other and in some cases surgery to straighten out the alignment of the eyes. Special contact lenses or other aides to achieve better vision may also be tried. Because lazy eye involves a disruption in the vision process, younger patients often show more success with treatment. However, there are many factors that are involved and therefore anyone who thinks they or their child has amblyopia should consult as soon as possible with their eye doctor. 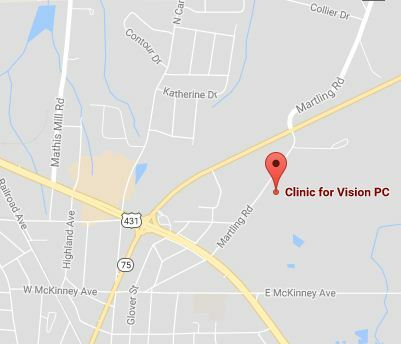 If you are in need of lazy eye treatment in Albertville, AL, be in touch to book an appointment. Amblyopia doesn’t get better on its own so don’t wait to start treatment to restore your vision!